In today’s fast-paced and competitive work environment, mothers often face challenges trying to complete work responsibilities while meeting childcare or eldercare needs. Some become stressed at work while family relationships get affected. A working mum faces different work-life challenges at specific life-stages. She can choose to develop personal work-life effectiveness so as to perform well at work while still being able to meet family and personal needs. Women Empowered for Work And Mothering – WEWAM Limited, is a non-profit organisation set up in 2011 to support working mothers and stay-home mothers who desire to work, so that they can excel at work and in mothering, thus enjoying work-life success. 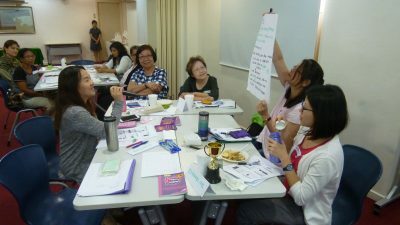 WEWAM creates opportunities for working mums, stay-at-home mums, mums planning to return to work and mums of kids with special needs to gather to learn about work-life harmony and brainstorm ideas on personal work-life effectiveness. 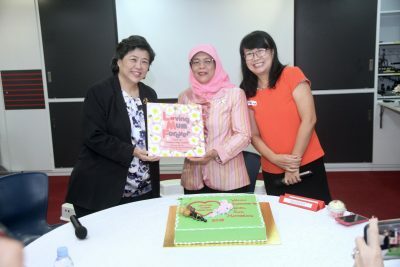 WEWAM founder, Ms Ean Yeo, was a winner of the Singapore Work-Life Leadership Award 2012 and a pioneer in family life education and work-life harmony training. She is the developer of various WEWAM’s signature programmes such as “Women Empowerment Forum”, “Flexignition-beyond flexibility” and “Empowerment for Work-Life Success” which have been supported by the Ministry for Social and Family Development, since 2011. 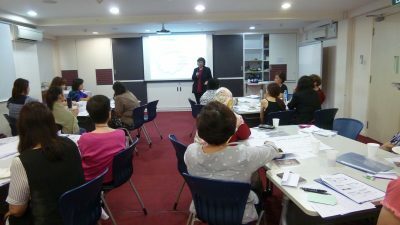 These workshops, conducted by professional trainers, equip attendees with strategies and actions that they can take to achieve work-life harmony, including the use of Flexible Work Arrangements. At these Forums, workshops and other public seminars, in addition to WEWAM anchor trainers, guest speakers were invited to share about their journeys and their unique solutions for work-life harmony. Over the last 7 years, the training has been very well-received by thousands of participants. WEWAM gives free seats to support women with challenges, like mums of children with special needs, widows, wives with absent husbands, households with significant medical expenses and low-income families, to name a few. Life transformation can be seen through the participants’ testimonies and feedback. 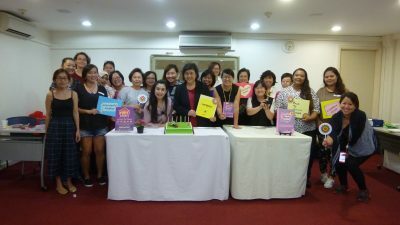 The highlight for 2018 was the Loving Mums Connect Forum on 18 April 2018. Mdm President Halimah Yacob was the Guest of Honour for the event held. 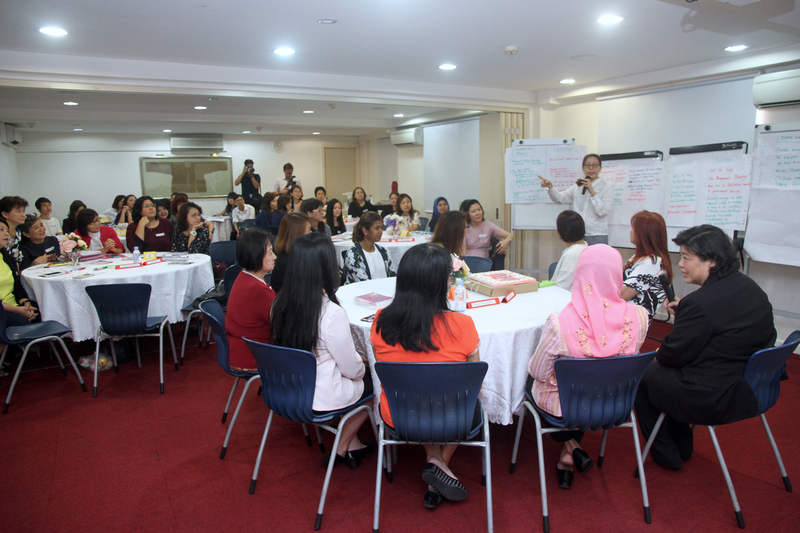 (at SCWO training room) The stay-home mums and mums planning to work discussed about concerns on their return to work and presented ideas to address challenges. We appreciate the team of volunteers and our sponsors for making the forum a fruitful, successful and memorable event. Click here for video footage of the event. This year WEWAM started a new version of the programme Empowerment for Work-Life Success- Back to Another future, to meet the needs of stay-home mums who want to return to the workforce. Past participants shared that the workshops have helped them to take the first step on their journey, with the aim of minimizing disruption to their work and family life. 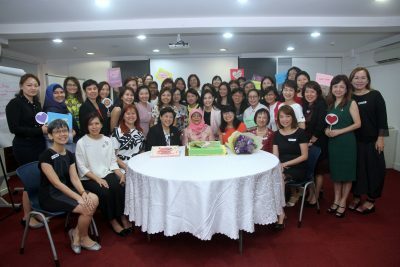 WEWAM is honoured to be accepted as a member of the Singapore Council of Women’s Organisations since 2011. We look forward to partnership with SCWO’s members to empower more Women for Work And Mothering. Check out our website and facebook to join us and find out more!